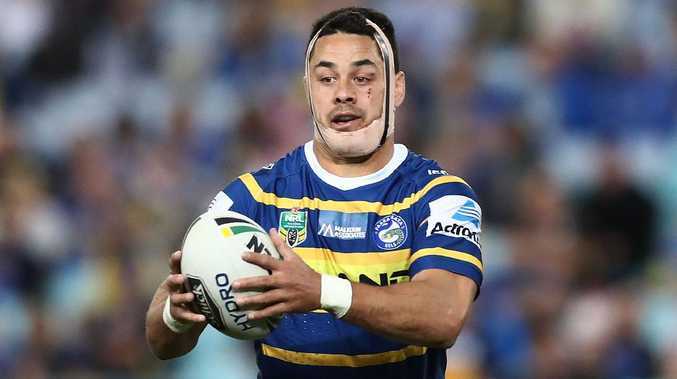 PARRAMATTA won't put a deadline on its contract negotiations with Jarryd Hayne despite the need to finalise the club's 2019 roster. Coach Brad Arthur reiterated his desire this week to keep the off-contract Hayne at the club and offer him a new NRL deal. Hayne accepted a one-year contract worth a reported $500,000 for 2018 after asking for a release from his $1.2 million deal on the Gold Coast. His decision will affect the club's retention strategy, with outside backs George Jennings and Kirisome Auava'a off contract. Hayne has consistently stated he will not consider his future until after the end of the Eels' season and Arthur says they won't be putting pressure on the code-hopping star. "There's no pressure. We've decided that at the end of round 25 we'll sit down and we'll have a chat to him then," Arthur said. Blake Ferguson’s inclusion could make things hard for Hayne at the Eels. "At the moment he's in some really good form and the priority for him and his teammates is that he continues to help us play well. "We've got three tough games to finish the season out. Jarryd's important to that." 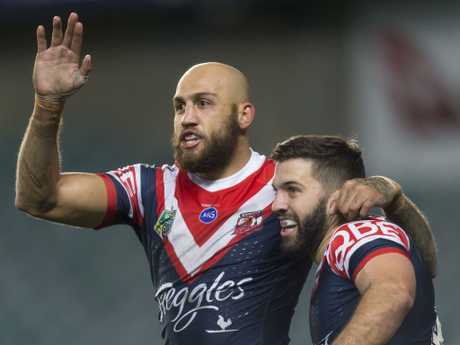 There is also the question of where Hayne will fit into the side with Sydney Roosters winger Blake Ferguson coming to the club as a marquee recruit. Hayne has excelled since being moved to the wing the past few weeks, though he has demonstrate an ability to play either side of the field and anywhere in the backline. Arthur said he did not know where Hayne would fit in should he sign on. The 30-year-old copped criticism for his early season form but it was since revealed he had struggled through a hip injury and stomach illness in the first half of the year. Since returning from injury in round 14 against North Queensland, he has scored nine tries in eight games - including a hat-trick in last week's flogging of St George Illawarra. Hayne has been linked with a code switch to rugby union in an attempt to play for Fiji at next year's Rugby Union World Cup but Arthur confidently predicts the star will stick with the Eels if he stays in league.